If the insurer has classified your claim as ‘disabling,’ once your attending physician has declared you medically stationary, the insurer will close your claim and issue a Notice of Closure. You will stop receiving time-loss benefits at that time. If you have permanent limitations due to your injury, the insurer will likely send you out for a work capacities or physical capacities evaluation. If your attending physician agrees with this evaluation, the insurer will then use this evaluation to determine your permanent disability award. If your permanent disability award is more than $6,000, the insurer will pay you a monthly benefit equal to 4.35 times your weekly time-loss rate. If you have any permanent limitations resulting from your on-the-job injury, you may receive an impairment award. This is not a ‘settlement.’ It is compensation due to your injury and you are entitled to this money by law. Please note that not all limitations result in an impairment award. If, due to your physical limitations, you are unable to return to your job-at-injury, you may qualify for a work disability award. This award is in addition to any impairment award you might receive. You only have 60 days to challenge your Notice of Closure. If you are not represented at the time of claim closure, you need to hire an attorney immediately. Here at Moore & Jensen, we can get your medical records from the insurer, and help you to evaluate whether the Notice of Closure is correct. Unfortunately, it can take a significant period of time to get the records from the insurer, schedule an appointment with you, and get the additional information we need from your doctor. Since we don’t charge an attorney fee on the monies paid by the Notice of Closure, there is no attorney’s fee unless we get you an increase. You are still entitled to some medical benefits once your claim closes. These benefits are known as ‘palliative care’ and include periodic physician visits, prescription medication and in some cases, physical therapy or other treatment designed to keep you working or to help you return to work. When closing your claim, the insurer should also send you an Updated Notice of Acceptance at Closure. This Updated Notice should list all conditions the insurer has accepted; your permanent disability award will likely be based on this condition list. Claim closure can be rather confusing. If you have recently received a Notice of Closure, consider contacting Moore and Jensen. Our knowledge and expertise will help ensure that the insurer has accepted all your injury-related conditions. 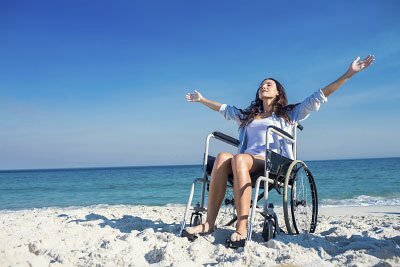 We will also make sure that you receive the proper amount of permanent disability benefits. We will review your Notice of Closure and if necessary, challenge that Notice on your behalf.